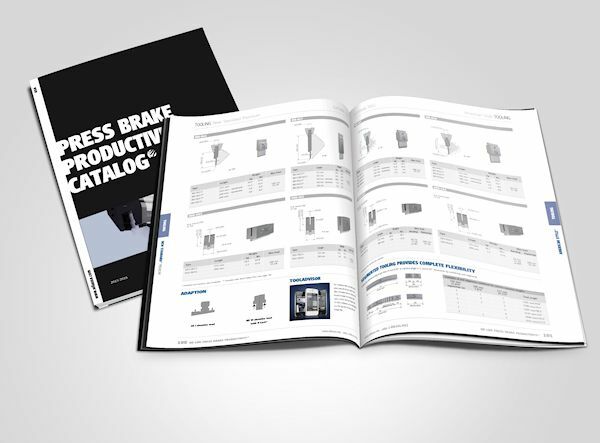 The WILA Press Brake Productivity Catalog has been completely updated. Aside from the new look and feel of the catalog, there are major additions to the product offering. The Heavy Duty line of Clamping, Crowning, and OB Bottom Holders as well as Heavy Duty tooling has been incorporated in this main product Catalog. The main sections of the catalog are split into three different categories: Tool Holders (Clamping, Crowning and Bottom Tool Holders), Tooling, and Components. Both the Tool Holders and Tooling sections include a comprehensive Factsheet which provide an overview of the various models available and their specifications, which assists in customer selection of the most suitable products for their requirements. There are also many other new products that have been added including the Smart Tool Locator option on Tool Holders and a new line of New Standard Premium Top and Bottom Pneumatic Clamping Systems. Also many new Tooling models are added in the New Standard Premium programs including flattening tools, die risers, and single part handling hemming tools.